Centering a 5.10 carat radiant-cut diamond and set in 18k white gold, this ring design is classic and has proven itself timeless. 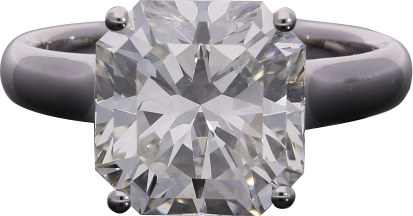 -The diamond is classified by GIA to be of “I” color, and “VS2” clarity. -This item is available for bespoke orders. Please contact us for special orders.